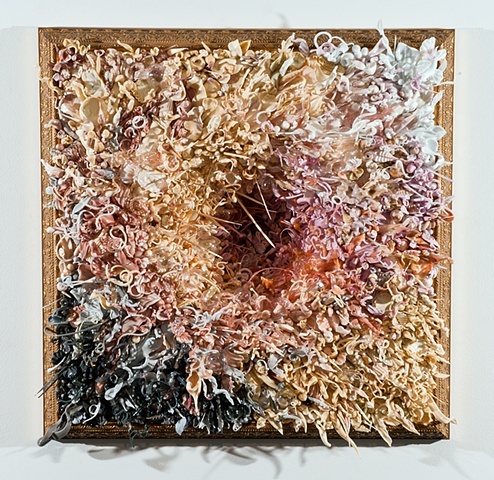 This piece is composed of hundreds of pieces of flameworked soft glass, and mixed media. College Art Association NY Area MFA Exhibition. Tyler School of Art curated by Candice Madey of On Stellar Rays Gallery. Hunter College/Times Square Gallery. February 9-April 9, 2011. "Zodiak Down". Little Berlin Gallery, Philadelphia. Traveling show in the fall of 2010.